The defence offered by Lalthanzara yields more questions than answers about a potential conflict of interest in road contracts. 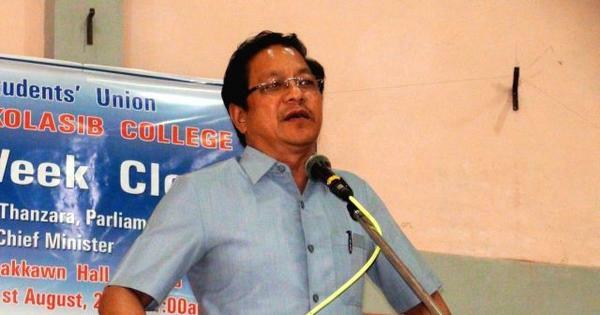 On June 29, Scroll reported that Mizoram Chief Minister Lal Thanhawla's brother had held shares in a company getting state government contracts. The company in question was Sunshine Overseas. According to its filings with the Ministry of Company Affairs, the company had allotted 476,000 shares – or 21% of its total that year – to Lal Thanhawla's brother, Lalthanzara, on March 31, 2009. At the time he was an MLA in the ruling Congress government. He held shares in the company for three years. He is now the minister for information and communications technology. The transaction revealed a conflict of interest for Lal Thanhawla. He was the chief minister when a company, part-owned by his brother, was winning government contracts. While Scroll was finalising the article, neither Lal Thanhawla nor Lalthanzara responded to our questions. However, 47 days after that article was published, Lalthanzara finally broke his silence. This defence, however, yields more questions than answers. As MS Sriram, a professor at IIM Bangalore, noted, no one can be allotted shares without submitting a share application form. "Somewhere in the picture, there has to be a signature," he said. Besides, Sunshine Overseas' filings with the Company Affairs Ministry show several transactions between Lalthanzara and Sanjay Chokhani, one of the largest shareholders and director of Sunshine Overseas. According to the company's filings, Lalthanzara got these shares in 2009 at a premium of Rs 40. In January 2010, he transferred 76,000 shares to Sanjay Chokhani and 100,000 shares to Saralata Chokhani (who has the same residential address as Sanjay Chokhani). On March 31, 2012, he transferred the remaining 300,000 shares to Sanjay Chokhani. If Lalthanzara is correct, who signed off on these transactions? Scroll sent Lalthanzara a text message asking him for a clarification. If Sunshine had indeed listed him as a shareholder without informing him, was he planning to take legal action? He did not respond. There are other questions. Shortly after Lalthanzara addressed party workers, says the Express report, Congress spokespersons shared copies of a single page affidavit filed before a public notary by Chokhani. It said that the company “has not paid any dividend or share of profit or remuneration” to Lalthanzara at any point of time. However, between 2009-'10 and 2012-'13, Sunshine transferred large sums of money – ranging from Rs 1.33 crores to Rs 2.38 crores – to another shareholder. This was RZ Enterprise, a company owned by Aizawl resident R Lalremsanga, which held 5.5% shares in Sunshine. Neither a Google search not a query on the Ministry of Company Affairs database threw up data about RZ Enterprise. A question to Chokhani about RZ Enterprise and what it was being paid for had not received a response. What is more incontrovertible is this. Things are heating up in Aizawl. Prism, a local transparency watchdog, is mulling a corruption case against Lalthanzara. More recently, the youth wing of the principal opposition party, the Mizo National Front, has demanded that both Lalthanzara and Lal Thanhawla resign. More important for Lalthanzara, the transaction might also have violated India's Representation of the People Act, 1951. Its Section 9A disqualifies persons with contracts with the government from becoming members of the legislature. Corrections and clarifications: The amount of money Sunshine transferred to RZ Enterprise was misstated in a previous version of this article.